The movement of gasoline prices over time is a tricky topic for many to understand. While there are those who would pin the causes on any number of usual suspects, one pundit will surely disagree with the next as to the root of the problem. Animator Omid Malekan takes a simple approach to the subject, using two bears and a straightforward chart that shows – with little doubt – a clear connection between the price of gas in America and stock prices. No stranger to economics, Omid’s popular videos tackle a range of topics, including the European Economic Crisis, Inflation, the Bank Bailouts, and the Federal Reserve. In short, it’s all about the markets and money supply. As of this writing, Omid’s videos have rolled up more than seven million views on YouTube, in all. He released his segment explaining the rise in gas prices back in March, when domestic prices hit a historic high for that time of year. While prices have fluctuated since then, we are once again in a perilous place. Omid pins the rise in gas prices on the falling US Dollar. “As the value of the dollar goes down, we need more and more of it to buy a gallon of gasoline.” He explains that the Federal Reserve’s policy to print more dollars has a profound effect on the price of gas. An increased money supply is intended to help the US economy, but the rise in gas prices has the opposite effect. The extra dollars have driven up stock prices. Omid drives the point home with a highly convincing chart that plots gasoline prices along side stock prices, showing how the two have moved in unison. How High Will Gas Prices Climb This Time? Diesel vs. 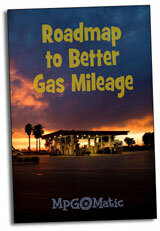 Gasoline: Is Diesel Worth the Added Cost? The analysis in the video appears to be inaccurate. The United States dollar has not been inflated much during the recent economic crash and subsequent road to recovery in spite of loose monetary policy by the Fed. Generally during an economic downturn, deflation – when dollars are worth too much compared to goods, thus causing people not to make purchases and thus causing unemployment – is the great danger, not inflation. The inflation rate during the past few years has been quite low. Thus, it inaccurate to say that a lower value dollar is the cause of higher gas prices. The video uses extremely fallacious logic to get around blaming speculators. The author correctly notes that speculators cause gas prices to go up and down, but then says that speculators do not cause gas prices to go up. Yes, speculators can drive the price of something either way, and during this period, they have driven the price of gas up. It is estimated that the Koch brothers alone add something like $.50 per gallon to the price of gas. When everyone bets on gas and no one against, even though real users of gas aren’t using as much, there is still a shortage.